Item # 135984 Stash Points: 23,495 (?) This is the number of points you get in The Zumiez Stash for purchasing this item. Stash points are redeemable for exclusive rewards only available to Zumiez Stash members. To redeem your points check out the rewards catalog on thestash.zumiez.com. 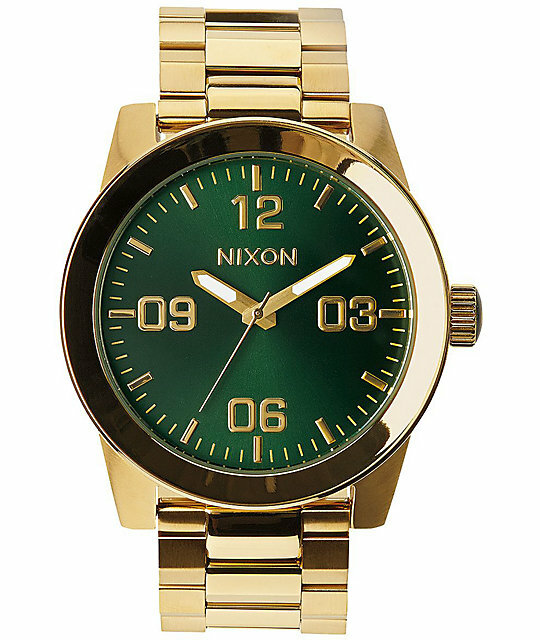 Update your style with a classy gold stainless steel case with a 48mm green sunray face for great contrast and a 100 meter water resistance for durability. 3-hand Japanese quartz movement with gold indices. 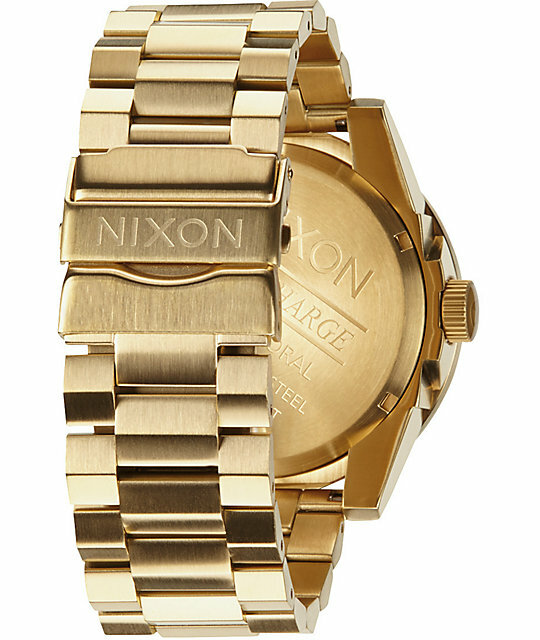 Raised gold bezel to protect hardened mineral crystal face. 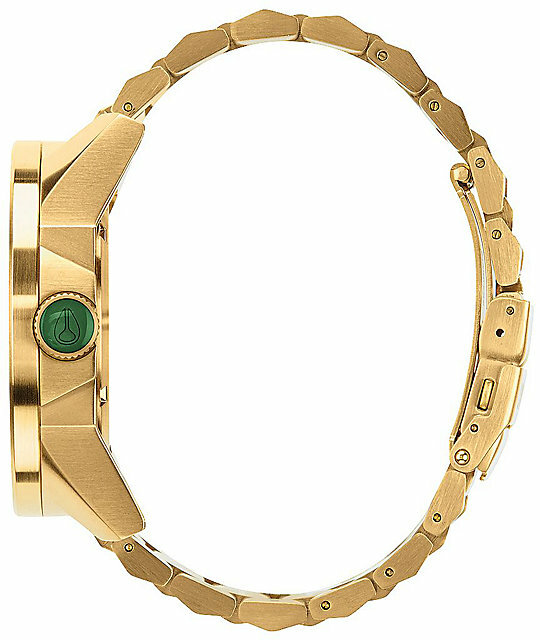 Gold solid stainless steel 3-link beveled adjustable band.